a second option in your project. Wishing to offer the best solutions for all projects, Vector Mais has recently concluded an agreement with Grenke Renting SA, a German financial group founded in 1978. Offering the ideal tool to prevent furniture becoming a second option in your project, Grenke's renting gives companies the opportunity to make the investments in equipment they need, without initial entry, and without their liquidity being shaken. All rents are fixed, easy to plan, and are 100% deductible in the operating costs of your company, which allows you to channel your liquidity to other investments. A top of the range Vitra chair that offers all the comfort and ergonomics for many years. Comfortable and with a timeless design, Suita by Vitra is ideal for any reception. 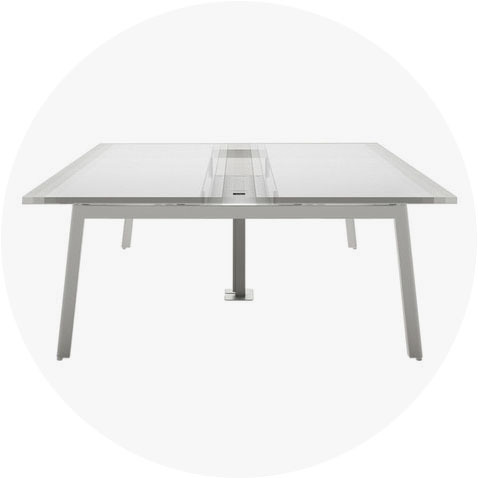 With a wooden top and an elegant base, the Forma5 table is ideal for all meetings. A double work station by Forma5 with fabric divider and prepared for electrification. A classic by Charles & Ray Eames for Vitra, perfect for the home or office. Designed by Alberto Meda for Vitra, Physix combines comfort and design. Produced by Flos, Kelvin LED provides the perfect light to work at your desk. The Vitra table and 2 chairs set is ideal for cafeterias and informal meeting areas. 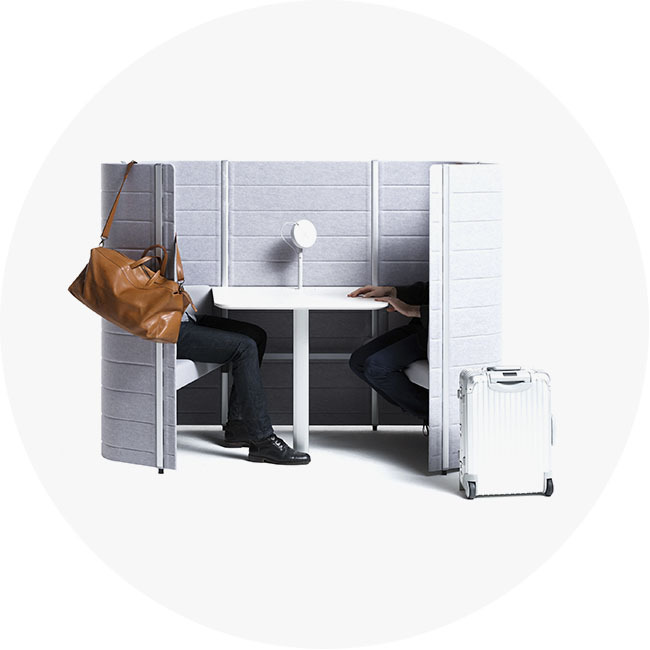 Vitra's perfect solution to have a meeting in the open space with privacy. 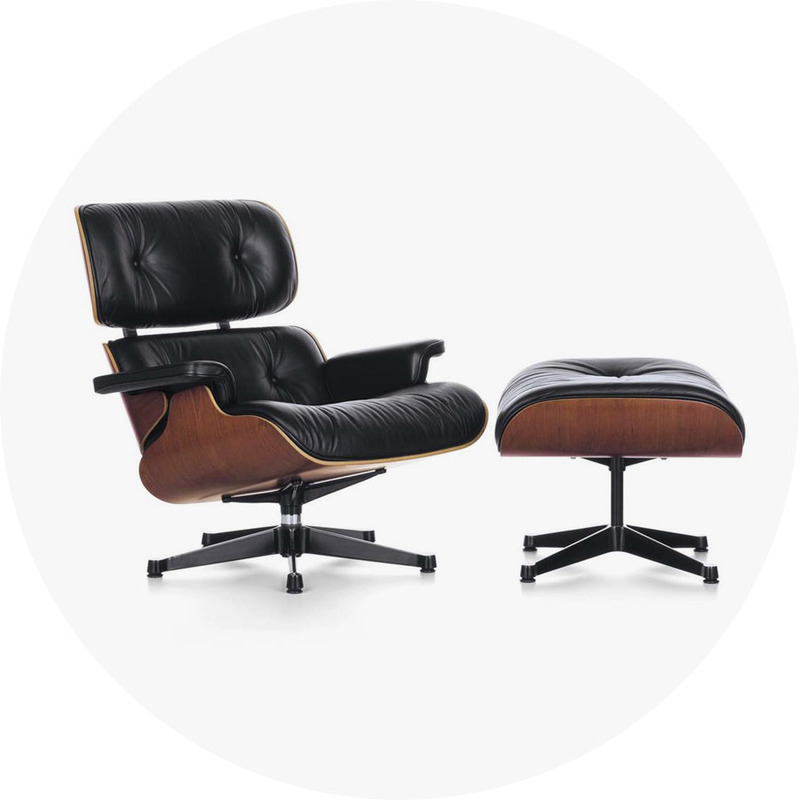 Designed in 1969 by the Eames, the EA219 chair by Vitra is an investment for life. Under the Bell - €15,24*/ mth. Very decorative and acoustic, this lamp by Muuto is great for lighting the office. *Merely indicative values, do not exempt the confirmation of financial terms with Grenke Renting SA and the confirmation of Vector Mais in terms of finishes, functionalities and other features that may influence the price of each furniture piece.